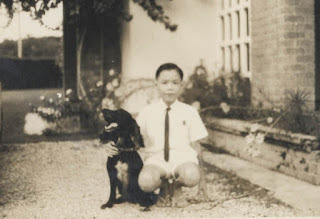 I'm reaching a milestone age of 60 this year, 5 times my Chinese year of the Dog cycle in accordance to the Chinese Calendar. For thousands of years, a twelve-year cycle named after various real or mythological animals has been used in Southeast Asia. This twelve-year cycle, sometimes referred to as the "Chinese zodiac," associates each year in turn with a certain creature, in a fixed order of twelve animals, after which it returns to the first in the order, the Rat. The eleventh in the cycle is the Dog. I am a Malaysian born Chinese who amazingly will publish my first book this year or sometime soon. Why I say amazingly is because I never thought of attempting such a challenging task all by myself before! There were moments in the past when I had talked to some experienced book writers and others whom I knew were more skilled than me in the art of writing as they were all well educated Americans. Some did manifest interest to co-write with me in my first book but it never happened! I was either too busy with the myriad of activities that I have always been involved in all my life or they had their own commitments too. Perhaps the timing just wasn't right for both parties. Furthermore, when I felt the inspiration to write a book, I didn't even know what the book will be about except I was inspired to write two paragraphs of an introductory brief story for the book and could even suggest that the name of the book title will be "What If...?" When I was midway in my book project, I got the real title firm in my mind so that the "What if...? changed to become the lead heading of each chapter that will have the words to follow according to the theme I've decided for each chapter. In retrospect, I did have a broad theme for the book which would be about how some major decisions of our lives are decided by beginning our thoughts with a "What if...?" statement. It is a way of making decisions following a critical thinking path to the future where one would simulate in one's mind what will happen based on a decision made at each junction of the path taken. The title of this blog post came about first without any content. It was a personal revelation of the scripture above that was given to me one morning and I just typed the title of this blog post without any content as I was busy with appointments and didn't want to forget. As my life is full of activities that take a few days each time to clear and get back to update my journal, I could fill it with content very fast, as I'm doing now when I find free time. Why I can do this is because of My Consciousness of everything that has happened to me, is happening to me as well as around me in the past or present that when I start to write, the links to related contents or information in my brain will flow to update my Consciousness easily. All I have to make sure is that I have a focus that what I write is related to the subject of the post title, "By Small and Simple Things"
I can testify that in my book writing project, I felt confident of a successful ending because of my awareness of my past where I had always focused to do the small and simple things first, with diligence and even attempts of doing them perfectly when I haven't seen the fruits or rewards of my efforts yet. I would record my personal history with great detail, using words, photos and videos. In my research to write a book, I had to read a lot more beyond what I had read or what I had gained from my own personal experiences. I had to decipher new knowledge, logic and analysis of others, to classify where this new knowledge falls under, how is it related to other latest discoveries of the changing world etc. It got so intense that I needed to create my own personal index system which I could use to access the enormous pool of researched data to augment my mind anytime when needed. When I have a creative thought or personal revelation from on high, I also needed to link it to established truths or scientific discoveries already existing so that what I write and publish to the world can be authentic or make sense to others by using symbols or metaphors consistent with established disciplines. All this required consistent focus over time on the small and simple things. 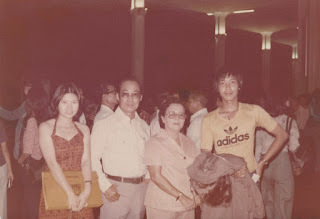 No doubt it must be the influence of my father who would work nightly filing papers of data or information after coming back from his government day job that helped me understand the importance of doing small and simple things in order to achieve bigger tasks of the future. 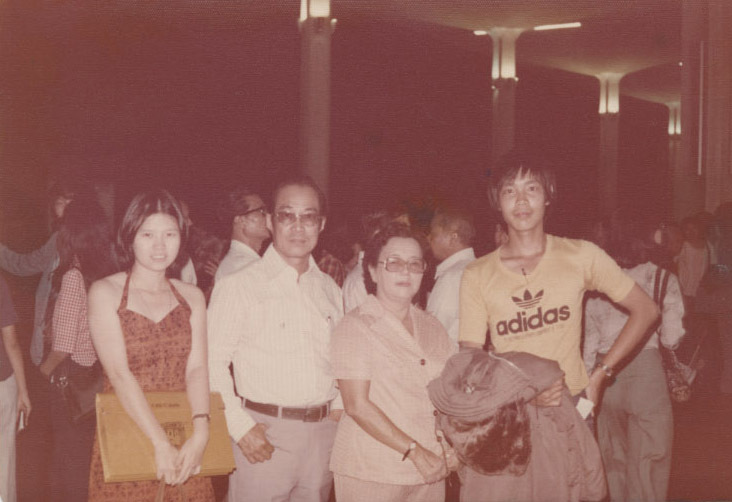 Another influential brother would have the habit of digging the garden to plant seeds of local fruits like the papaya, star fruit, rambutan, and others, to water and take care of them daily until they grew up to be mature trees to bear fruit that was enjoyed by the whole family. He taught me how to dig deep trenches to fill them with fertile soil and bury short sticks of sugar canes with buds on them. I would water them daily and in a shorter period than the fruit trees he planted, I would see the stems multiplying from the ground to shoot up to be tall stalks of sugar canes which were taller than my height! It was a sweet reward to harvest the output of my labors. I had learned in nature, by doing small and simple things, a great reward is the return. The advantage I had in my era as an adult was the development of Information Technology where I didn't have to use paper files or filing cabinets. I had the computer and the hard disk to store information in words, photos and videos under compressed digital formats which could be indexed for future retrievals easily. I had also built up quite a large collection of books in my personal library to assimilate a lot of information and knowledge for my own human-computer which is my Mind! In a personal research initiative at my office in the year 2002, I started with a small team to discuss, discover and document growing information centered on the human mind, change theories and methodologies to help corporations improve the performance of their human resource. 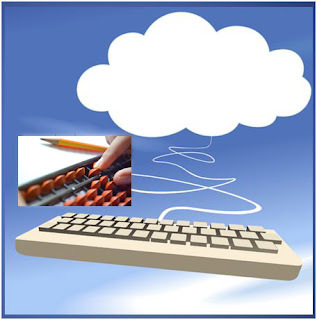 As the speed of the internet increased for faster access to the world wide web of information stored in the Cloud without the limitations of space or time, I knew it was conducive to write and publish my own first book, and subsequent ones too, with greater ease one day. The practice of small and simple things led me to record my life acitivities in 3 separate different blog journals, intead of just one, named as Familylane, Fastlane, & Spiritlane. Strangely, a business trip to New York city after I started my 3 blogs led to more enlightenment or increased Consciousness. A French born Chinese lady I had just met in a cafe, introduced by another New Yorker friend, invited me to join her to visit her Taoist temple. At that instance, I began to write down on a napkin, under 3 columns, the significance of the Body Mind Spirit and how it linked with my blogs and what were perceived to be the end goals with different word descriptions in each column! A more detailed reproduction of the 3 column draft I made that day is found here. 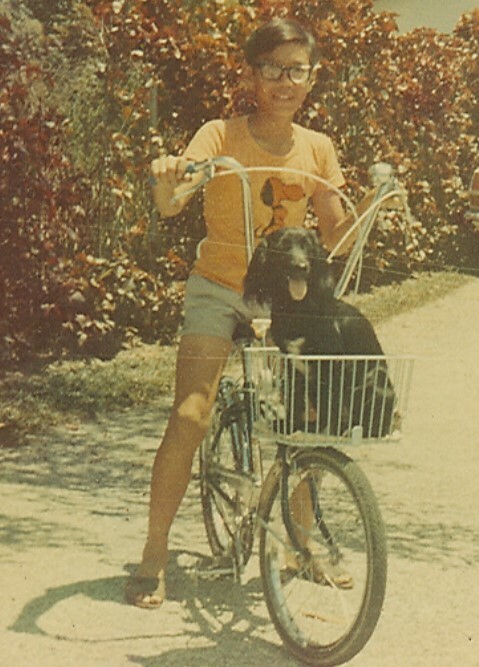 Here is an old pic of me and my first dog that followed me home one day when I was walking around the neighborhood. It belongs to an expat going home who felt it was best to leave the dog with me, since he seemed to like me to follow me home, instead of putting him in a long flight to his home overseas. 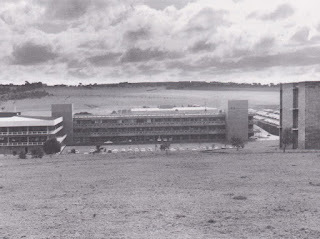 One can see the big garden in the background of the photo of the government quarters we had lived in for many years. In this garden was where I was free to run with my dog, learn to plant and get to harvest the fruit of my labors. 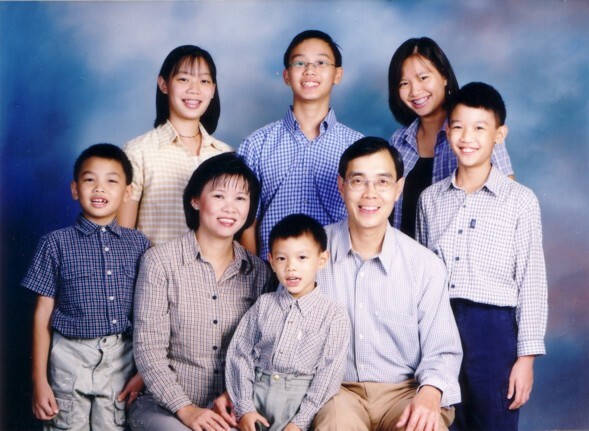 In the photo above, I was dressed to go to primary/elementary school. I was a slow learner at school at the elementary level especially, not having a good memory so learning the Malay vocabulary was difficult. The school didn't have Mandarin classes which would be an even tougher language for me to learn as it isn't romanized nor is it a language that can be considered phonetic even though there is a separate Hanyu Pinyin system. The pinyin system was more to help in learning the pronunciation of the original Chinese character for those who don't know how to read Mandarin so is just a tonal system. Earlier I had thought the Chinese in the mainland were a proud people of having the longest civilization still intact and therefore didn't want to change their language completely to the phonetic system which other civilizations did like the Egyptians. I have since learned that since every Chinese character has a unique meaning, changing the language characters to suit a new phonetic sound/pronunciation system will lose the value of the original meaning in the original characters and may cause confusion when different meanings in the new character set end up having the same sounds or pronunciation. Luckily I was the last batch in the Malaysian school system to have all my education in the English language. The reason being English is so widely spoken, it has often been referred to as a "world language", the lingua franca of the modern era. Also, much of the latest Science and Technology knowledge I had interest in was coming from the English speaking western world. 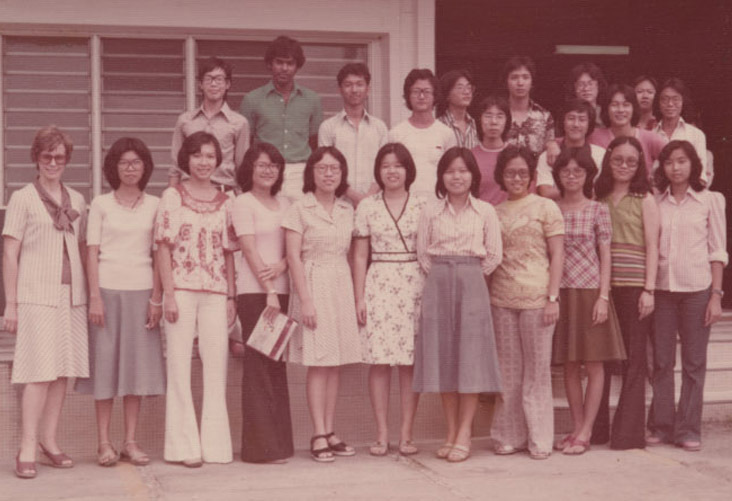 Malay was more a national cultural language of Malaysia and is only a single subject for me at school that was romanized, it was really not too difficult for me to learn the language. At Primary one level, my first year in school, I was still struggling with how to study though all were in English with only one Malay subject. I didn't do well in the tests to miss the double promotion meant for those who scored well in the first year of elementary school. 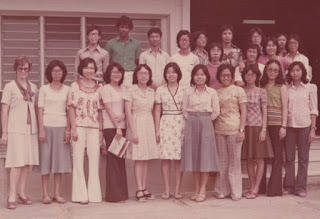 I changed to a better school in the fourth year where they had optional Mandarin classes. I tried a couple of years in it but constantly had red marks on my report card while the rest were blue. I didn't start earlier with the basics of the language like the others and couldn't catch up so I opted out after trying for 2 years. Today I have a desire to pick up the language again since there is no pressure of getting any report cards plus I can take advantage of the technology available today to teach me and help me practice at my own pace. Furthermore, I also have this strong belief that by small and simple things, with constant repetition or practice, I can still achieve all that I want to achieve! Plus we now have technology in our hands to assist us plus I can listen to Mandarin songs to catch the sounds and naturally remember them like in this song. I plodded along progressing very slowly in my early years in school and someone in the family started giving me story books to read. They were the Enid Blyton series and I loved reading them, The Famous Five adventure kids who could solve mysteries in their neighborhood. I believe small and simple things like reading helped me to excel in English and the more I read, my intellect improved and so did my grades. 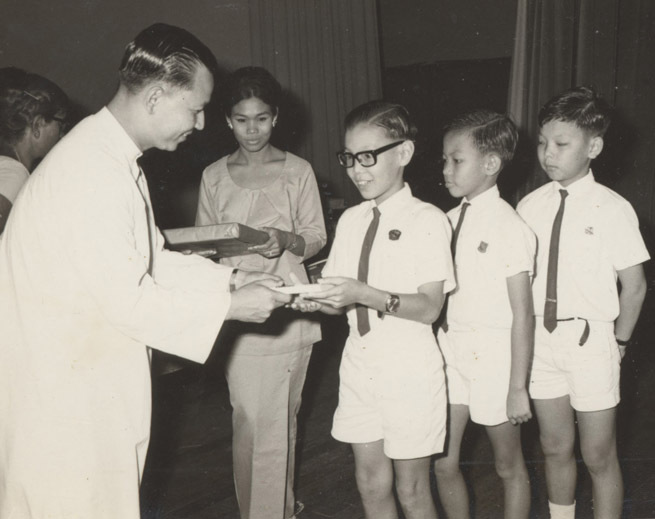 I even won the first prize in English in Primary 5 in the year 1969. How nerdy I looked haha. To win a prize was amazing as for many years I was just getting by but I had acquired the reading habit, the door to opening up my brain to acquire academic or intellectual capabilities of languages, and the beginning of logic and reasoning at the elementary level which became my strength. I never stopped progressing academically from that year onwards, climbing the ladder rung by rung from first increasing my position in a lower class to being promoted to a higher class to only drop in position among the brighter kids of the smarter class but eventually climbed the rung of class positions to get to the top five in the class of classified bright students which I always felt I wasn't one. I just knew the technique or system to study. I had always felt I wasn't as bright as the top students of the class but through my mastery of the basics, by small and simple things, it allowed me to figure out the answers or solutions to the questions or problems thrown to me from the academic or intellectual world. Somewhere in my academic life, I found a balance between reading for examinations and reading to understand a topic or subject matter. I found that when I did the latter, I could remember what I read for a much longer time. I always worked hard to try to understand something I had to deal with. These were the small and simple things I developed a habit to do whether it was about reading something to understand it, fixing or repairing something and the most tricky is trying to help other people with their human problems of life which will require all my knowledge and experience in the Body Mind Spirit of the human soul. Interestingly, I had to be in New York City to realize something that was quite Eastern of the Body, Mind & Spirit of the soul. While doing my research for my book living in Singapore and Malaysia, I realize that Plato of ancient Greece influential for the foundation of Western democracies and culture named the tripartite nature of the Soul as Apetities, Reason & Spirit. Both parts of the world had the same foundational truths but merely used different words, text or symbols to describe the same thing. 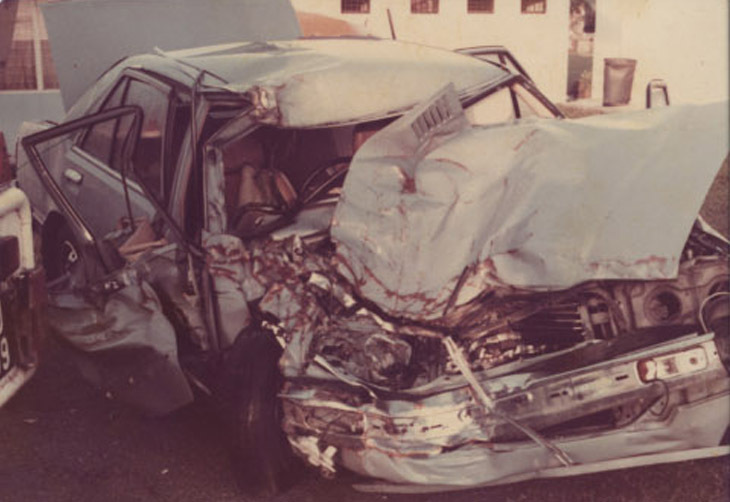 In my younger age in the elementary level and below, I recall that my Body was not really physically strong or healthy. I remember having high fevers where the doctor had to come to visit me and I had to be sponged down to lower my body temperature. There were also periods of time when I had boils on my body that were painful in my knee or elbow joint areas and even on my buttocks to make it painful to sit down! Again, I had to resort to small and simple things to build up my physical health. In later years, I would cycle a lot up and down hills in my neighborhood, carrying my dog with me to build up my leg muscles and stamina too with the joy of having my best friend with me. At middle school, I would learn to play every game with a ball such as basketball, soccer, rugby, volleyball, hockey etc. Learning Karate, the Japanese martial arts reminded me to learn the small and simple things first before I learned to spar with another opponent that eventually led me to participate in tournaments in Singapore against another karateka from a foreign country. 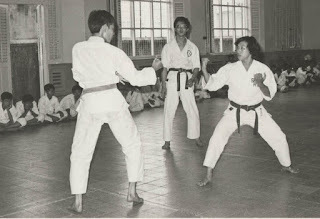 Just standing lowering my back in a horse riding stance posture in my early training with no punches or kick techniques taught to me until very much later is my recollection of how I started my training! Deep breathing exercises, doing the katas or exercise steps like a dance, running 5 kms in the highland camps to build stamina and endurance were all very important small and simple steps to master before I could begin to practice sparring with another opponent! Today, I still ride the bicycle, play any ball games if there is someone else to play with me, hike or run uphill too when there is time or opportunity. If not, I never forget the small and simple things like my timed exercises that can be done anywhere anytime consistently to keep me healthy and fit. Watching what I eat or drink, following the Word of Wisdom commandment of our Church since I joined the Church at 20 years of age are the small and simple things I would do that brought to pass great things like never needing to see a doctor for cures of headaches, fevers, coughs or other common sicknesses for the past 40 years or more. 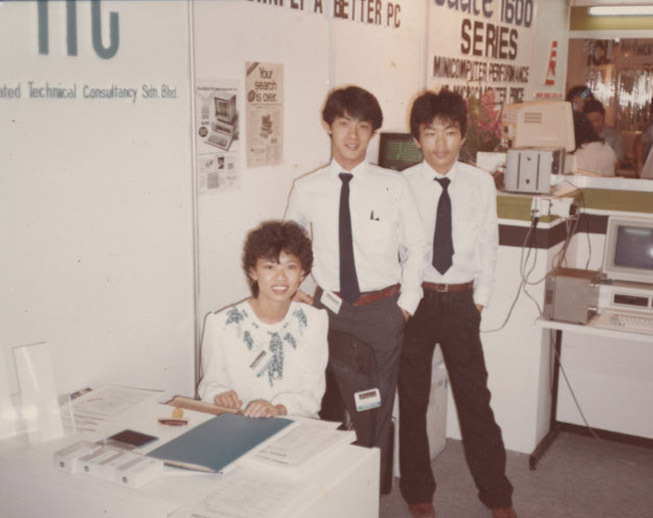 After Form 5, for pre-University to enter an Australian University, I had to do the Australian High School Certificate HSC and as I had decided to become an Accountant, or I followed my father's advice to be one. I had to start afresh to study Accounting and Economics for the first time as I had come from a pure science stream in my secondary or middle school due to the emphasis of the government in our developing country. Again, I had to learn small and simple things again in a new field but due to the plasticity of my brain by this time, I had the capability to learn new principles within one year to qualify for entry to the tertiary level of education in Australia which at that time was free. Before going to Australia, I would make a tour of Europe for the first time using all the money I had saved from Chinese New Year red packets plus money earned due to the one good brother who gave me cash incentives for every A grade I got for my examinations during my secondary years! 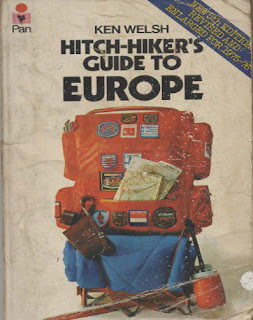 Again, I had the opportunity to learn small and simple things to prepare myself for the biggest trip I've ever done to date in Dec 1976, traveling all alone by myself. 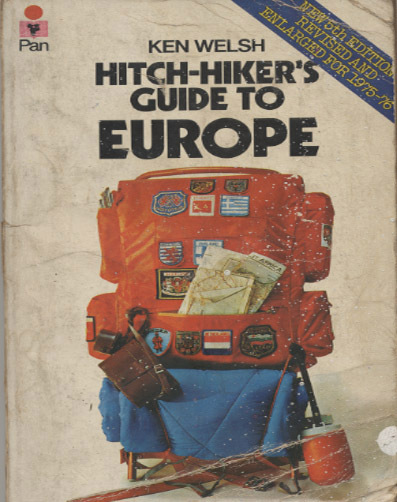 I came back safely from Europe and in Feb 1977, I was ready to leave for Australia to begin my University education. By this time, I had felt I had acquired enough basics in life of small and simple things to handle anything forthcoming in the future. This is my University Campus in Geelong city in the state of Victoria. Deakin University was only incorporated in 1975 and I was a pioneer student in the first batch of 1977. 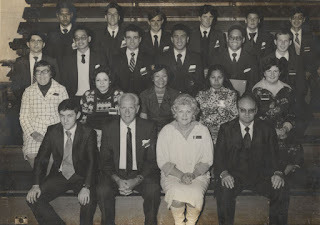 I had top results in the Australian HSC Higher School Certificate exams that qualified me to go to any top universities in Victoria state like Melbourne Uni, La Trobe, Monash or even the famous RMIT college which was my first choice as they were well known in the field of Business and Accounting with a sandwich course of 1 year where students get to work in the industry, making it a 4 year course instead of the normal 3 in all the universities. 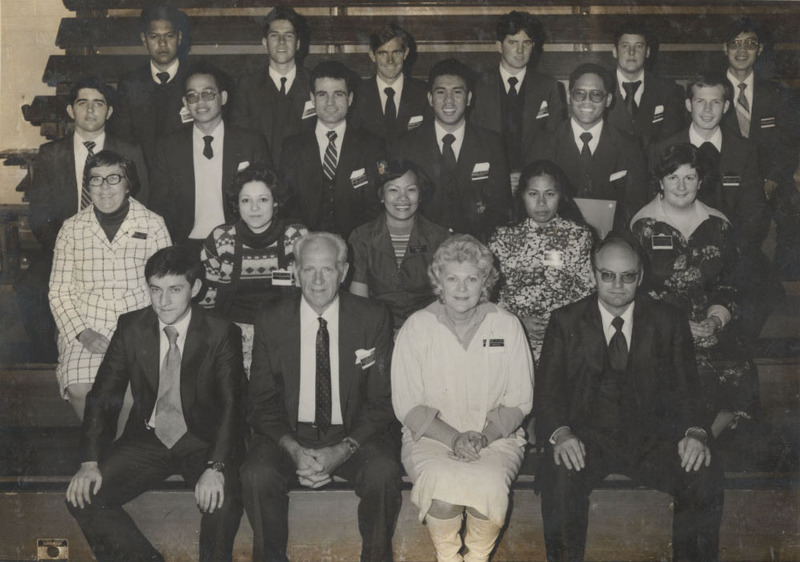 I was not aware that immigration policy then was not to allow foreign students to work so they gave me my 2nd choice which turned out to be a great blessing for several reasons. Missionaries found me in this small city of Geelong, an hour's drive from Melbourne, who knocked on my door so that I could receive the most important message Man on earth could have. I choose Geelong city as my 2nd choice because my best friend from school who lived near our family home had an older brother studying at Gordon Institute of Technology, famous for architecture. (Our Singapore member Tan Su Kiong, former Patriarch is an architect trained from there.) 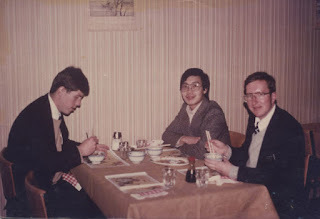 The brother of my good friend turned out to be an excellent person to orientate me to enjoy the nature of Australia to bring me out to the seaside in summer to snorkel, the resorts up in the mountains in winter to ski and I learned he was very smart too. 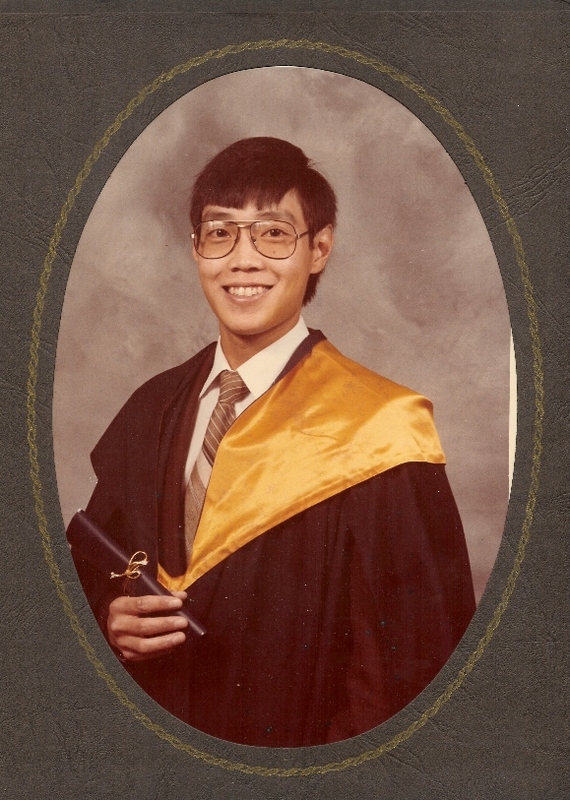 He was the fastest reader in South East Asia, did a double degree of Computer Science as well as Architecture, who must have influenced me to do a double major in Accounting and Computer science within my 3 years of undergraduate studies at Deakin, formerly known as Gordon Tech. I like to point out at this time that the blessing of learning computer science was foundational to allow me to type on my computer today and learned by 'Small and Simple Things' how the future could change because of this Information Technology. I thought accounting was detailed enough to keep track of dollars and cents. However, when I started to learn programming languages, higher and lower levels like assembly language, my understanding of how the 1 and 0 of the binary system learned in my school days was related to computers created an "Aha" effect in me! I didn't realize though that the technology would change my life as much as the restored Gospel theology did. The Gospel only came to my life in the last year of my University life but thanks to the LDS Church, my learning never stopped and the impact on me was definitely far greater than my University education of course. 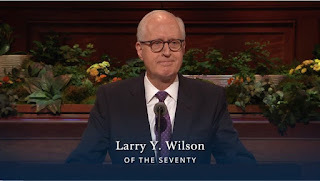 In short, my consciousness tells me, as I sit in front of my computer today that I am greatly indebted to both the Computer Technology and the LDS or Mormon Theology to have given me an incredible or amazing life on the principle that "By Small and Simple Things" that I had studied and acted upon, "are Great Things Brought to Pass". In the final year of my university, I was the happiest man in the world, I felt so as the physical health of my Body was at a peak and I felt my Mind was adequately curated with sufficient basics in small and simple things to tackle the world. I had mastered how to break down sophisticated things to its simple parts. Little did I know I was still lacking in one area of my life. I had to learn the small and simple things of the Spirit part of life! Live comment while finishing this post 3pm Friday 30 March 2018: "Often times, I would just kneel down to say a prayer to thank our Heavenly Father for my daily blessings. I would open the scripture to read any messages he has for me. Today is Easter Friday and I am anticipating spiritual things to happen, personal revelations to me, especially as this, is the weekend when our Church will have our Annual General Conference broadcast live to the world through our Church website www.lds.org I look forward to what our world prophets and apostles have to say. So here is what I read when I thumbed open my old scripture that has previously marked passages in it:"
End of my live comments shared on Facebook. Yes, my life has several experiences of a flow of natural tears, sometimes occurring uncontrollably in embarrassing public moments! It happened again recently when I was asked to teach the Gospel principles class in English on Sunday a week before Easter by Sharon Wong, She is the one who usually teaches it but she was starting a Chinese Gospel principle class so she requested me to take over the English class. 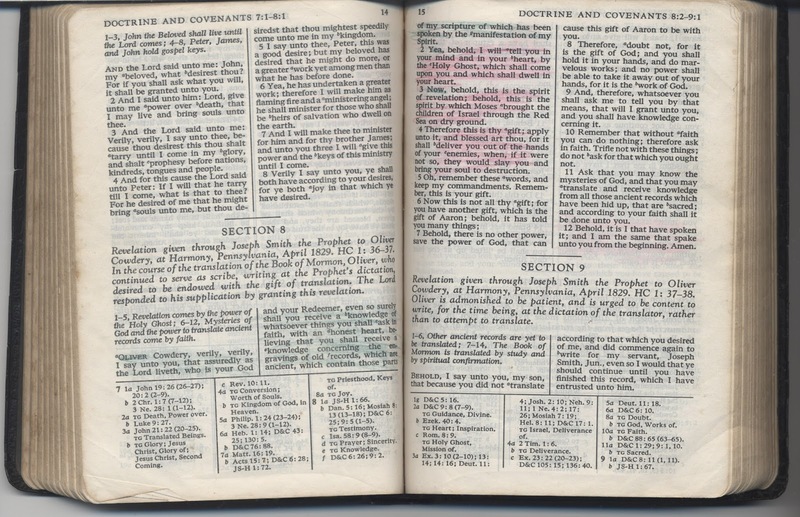 I was to teach the chapter on the Life of Christ, Chapter 11 from the Gospel Principles manual. In the middle of the class, I had to excuse myself to go to the Men's room to clear my wet eyes and blow my nose! Luckily the class was small. On this Easter Sunday, the class numbers were more than doubled for me to teach on the Life of Christ and I held well! Maybe I had drained all my tears away already. During the time of writing this blog post, my tears did flow when I was spiritually flowing with inspiration in my heart and mind due to the Holy Ghost helping me to express myself in a flowing manner here. 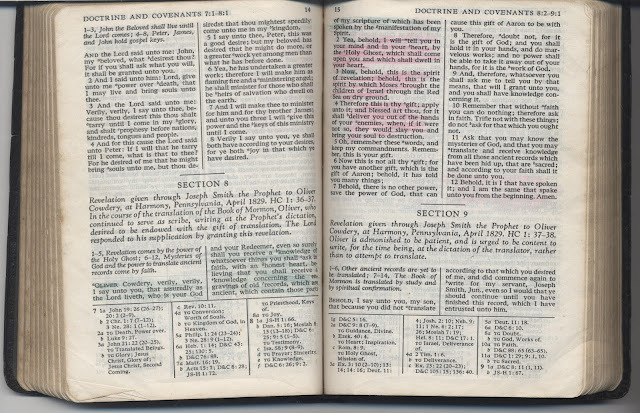 I even found an old talk referring to D&C Section 8 again with the title, "The music of the gospel is the joyful spiritual feeling that comes from the Holy Ghost. It brings a change of heart." Let me fast forward my life, to review what happens when I believe in doing small and simple things, with pics below in this journal to finish it in the shortest possible time. I do it by using social media technology links to my journals that I have patiently written down over the years, line upon line, precept upon precept, just the way I learned the restored Gospel of Jesus Christ and tested it personally as one who believes in Light and Truth. I am celebrating this Easter weekend by collecting comments from others on facebook to share it here below my post. How can you share your comment? Just click the 'See More' below or the blue Facebook icon and see what happens. I look forward to reading your comments which will later be manually added to this blog below my comment. It's Glorious! I will now need time to record a good number of things that happened over the weekend that can be classified as spiritual things or personal revelations to me. So much could happen in just one Easter Weekend!!! 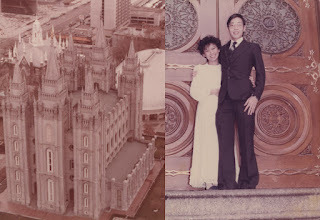 I have to wait for the Church website at lds.org to convert the Sunday morning General Conference session live video to individual videos for each speaker so that I can embed the relevant ones in this post with my comments on how they relate to what I've shared on this post so far. Over the weekend, besides collecting comments from friends around the world about Easter, I also started collecting memories or impressions I would receive over this special weekend and can today summarize them below to conclude, as expected from the past experiences of my life, that "...by small and simple things are great things brought to pass; and small means in many instances doth confound the wise. And the Lord God doth work by means to bring about his great and eternal purposes; and by very small means the Lord doth confound the wise and bringeth about the salvation of many souls." 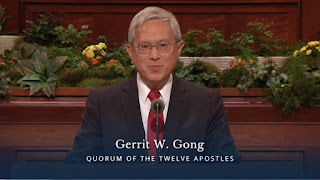 Click the photos below to watch the video recording of each speaker, to witness that what I had boldly predicted above before the start of the live Annual General Conference on my anticipation of spiritual things to happen, personal revelations to me did indeed occur! 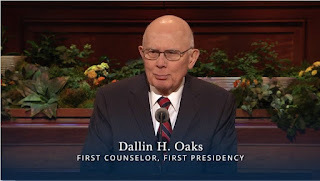 Wow, if you click the photo image of Dalin H. Oaks above to watch the video of his conference talk, at 2.50 mins from the start of the video, he said "This morning I felt to use as my text, Alma's teaching to his son Helaman recorded in the Book of Mormon. By small and simple things are great things brought to pass." I generally would pick to listen to the President or senior apostles of the Church first when I do not have time to listen to the entire conference. I somehow chose Elder Wilson, unfamiliar to me, to be amazed to hear his entire talk about a Miracle that happened on a ship during the Korean war. My use of the more politically correct word of "Spiritual things to happen" actually meant "Miracle like things to happen" and Elder Wilson's whole talk was on the miracle that happened on the US Navy ship. President Nelson talked personally about his life and experience in receiving personal revelation of the Holy Ghost through his heart and mind. 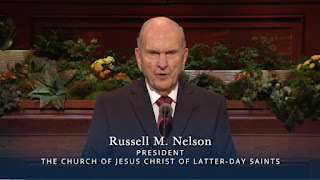 Click here to listen to the relevant part of the video that I know is a personal revelation to me as per my quotation of D&C chapter 8:2 shared above before the conference began. 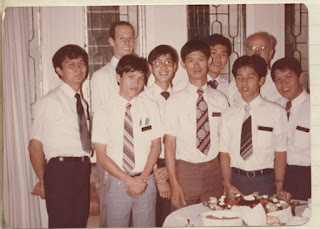 Imagine living in a time when I'm in Melaka meeting with a Muslim group by invitation and while driving back to Kuala Lumpur, I could watch the General Conference on my phone to be surprised of Elder Gong's call as an Apostle of the Lord whom I had met with personally 4 years earlier by chance when I was travelling from KL to Singapore with our miracle convert from the 80's shared in the SpaceTime-Travel section of my post here. I started this post on Friday before the General Conference commenced, using all my skills or know how to express my life's story supporting the truth of the scripture of Alma's teaching to his son Helaman about "small and simple things". This was one of the scriptural revelations given to me recently. I get them very often and sometimes forget to note it down or scan the scripture which I may do often as part of the record-keeping habit of my life, just like the way Accountants keep all documents as supporting evidence to the final financial reports they produce! My style of writing my journals seem to follow this trend as evidence or my testimony to others that Heavenly Father is real. I can feel the Savior's love and the Holy Ghost effect is well explained by our new prophet President Nelson shared on this shortened video. I made a shortened version of the video provided as a link to click to make it clearer that my impression of what I hear and feel from the speakers are clear indications of spiritual things or personal revelations to me by the power of the Holy Ghost. I had mentioned above about the old conference talk I found that explained about D&C chapter 8 verse 2 especially,"Yea, behold, I will tell you in your mind and in your heart, by the Holy Ghost, which shall come upon you and which shall dwell in your heart." 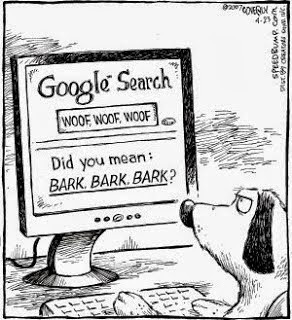 I found it using search in LDS website which is well indexed to link to other relevant talks etc thus creating a flow of understanding for me. Same way as I write my book, I needed to index all related researched information so that my writings will flow more smoothly or logically when it is presented. Click here to listen or read that old conference talk to find that it is beautifully or spiritually well expressed about the different effect of the Heart compared to the Mind, "We learn the dance steps with our minds, but we hear the music with our hearts. The dance steps of the gospel are the things we do; the music of the gospel is the joyful spiritual feeling that comes from the Holy Ghost. It brings a change of heart and is the source of all righteous desires. The dance steps require discipline, but the joy of the dance will be experienced only when we come to hear the music." If one reads or listen to the entire video, one will learn how to create an optimal environment in one's home especially as a parent with maybe a rebellious child or an older child still in the adolescence age not fully living according to Gospel standards that parents may desire. He or she needs to hear the beautiful music with the heart which is the source of all righteous desires. This is the power of the Holy Ghost that I know of and am reminded again by personal revelation given to me that I had anticipated in this General Conference. My cup is full and I can continue to dance toward my goals without feeling the stress of just discipline alone to do the small and simple things that we all need to do but often neglect. Yes, we need to hear the music and dance or flow with it! If you watch the video of Elder Gong's short talk as the new Apostle, he started by relating how he puts his children to sleep and I will end this post repeating his cry of "Hallelujah!" with this video. CLICK HERE to scroll to the top to see all the Small and Simple Things I write about in my life!